The Amish Community has been known for the modern technologies and their life style, significantly using horses for farming and for transport. 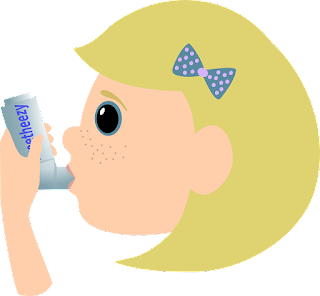 Now in closer look the people in that community have unexpected benefit that can prevent asthma in children. A new study by US scientists published their report at The New England Journal of Medicine that children’s immune system in Amish Community was bolstered with house dust that contains more microbes as brought by farm animals. The researchers compared their study between the Amish Community and Hutterites who use more modern farming methods. Both of them have similar genetic ancestry and also follow similar diets so what’s the difference? There are about 21.3% of Hutterite children are more prone to Asthma than 5$ of Amish Children. The study echoes the thoughts that lack of early exposure to microbes due to modern hygiene increases the risk of allergy. The dust in the home is much richer with microbes. "Neither the Amish nor the Hutterites have dirty homes," said study co-author Carole Ober, professor and chairman of human genetics at the University of Chicago. "Both are tidy. The Amish barns, however, are much closer to their homes. Their children run in and out of them, often barefoot, all day long. There's no obvious dirt in the Amish homes, no lapse of cleanliness. It's just in the air and in the dust." – As said to BBC. In a test of about 30 Amish Children had more neutrophils that are crucial for fighting infections and fewer eosinophils that lead to allergic response. Laboratory mice while exposed to Amish dust were also protected from Asthma. "We hope that our findings will allow the identification of relevant substances that will lead to completely novel strategies to prevent asthma and allergy," said co-author of the paper, Erika von Mutius, Professor at Dr von Hauner Children's Hospital in Munich. Video: Genetics to build new species! Tuberculosis born out of fire! Is it?